 Second Harvest and At The Core partner together to feed hungry kids over the weekend with a program called “Bite2Go”. Every week on Friday, kits of shelf stable, kid friendly foods are placed into students’ backpacks. Students receiving the food are at risk of being food insecure on weekends when dependable meals at school are not available. The mission of the program is to pair a church or business with a school- we call this the adoption model. Then, congregants of the church or employees of the business sponsor children at their adopted school to feed them over the weekends. Ultimately, the adoptive organization is inspired and equipped to serve and love the school, staff, students, and families beyond just the Bite2Go weekend food kits. For many adoptive organizations serving the school looks like, being a reading buddy, mentoring, volunteering at school activities, encouraging staff, supporting students and families with other basic need resources. To find out more, you can visit At The Core’s website here.